We offer help in applying for the Residence Permit in Ukraine, and it may be shortly converted into citizenship. Passport of Ukraine ranks #31 in the world passport rankings. Citizens of Ukraine enjoy visa-free travel to Schengen countries and have easy access to labour market in neighbouring European countries. It is a relatively inexpensive country with all seasons nature, friendly people and great food. 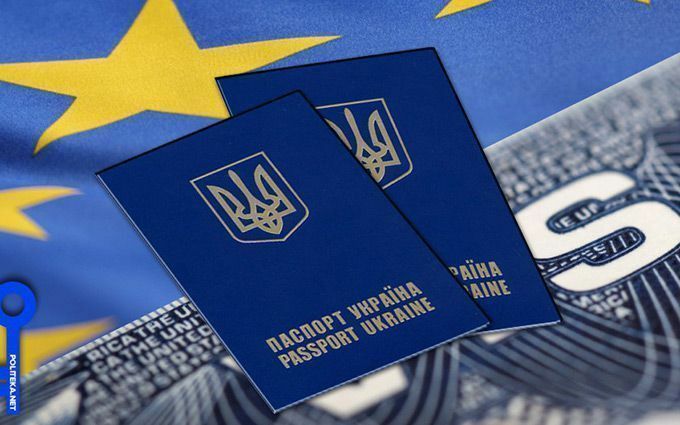 To apply for Permanent residence permit you will require two visits to Ukraine, one under ordinary visa and the second time under visa D.
You will be normally eligible to apply for passport in about one year. Our fees start at 10000 EUR for residence permit leading to citizenship. As Ukraine celebrates 26 years of independence, we present an array of facts and trivia you probably did not know about the Eastern European country. Russia excluded, Ukraine is the continent’s largest county at 603,628 square kilometres, stretching from Russia in the east to Poland in the west, and sandwiched between the Black Sea in the south and fellow former Soviet state Belarus in the north. France is next at 551,695 square kilometres. 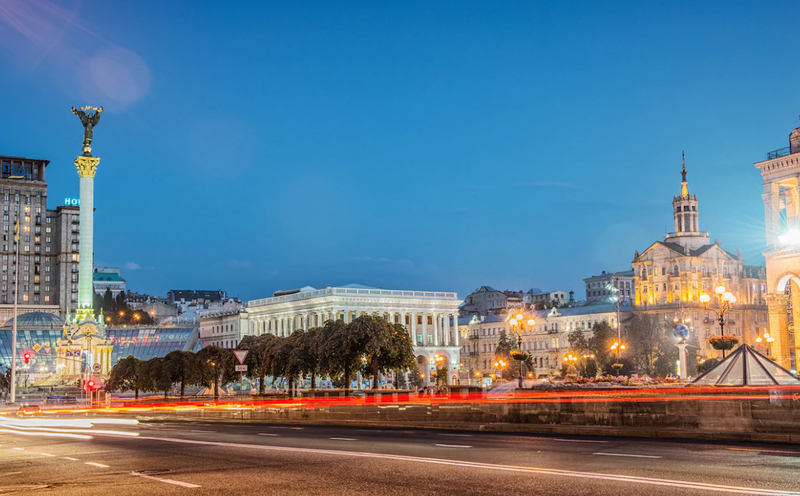 Within its large borders, Ukraine has seven World Heritage Sites, including the 11th century Saint-Sophia Cathedral in Kiev, the ancient city of Chersonesus, and the primeval beech forests of the Carpathians. Another is the Struve Geodetic Arc, a chain of survey triangulations linking Hammerfest in Norway to the Black Sea in Ukraine. It «helped to establish the exact size and shape of the planet and marked an important step in the development of earth sciences and topographic mapping,» according to Unesco. 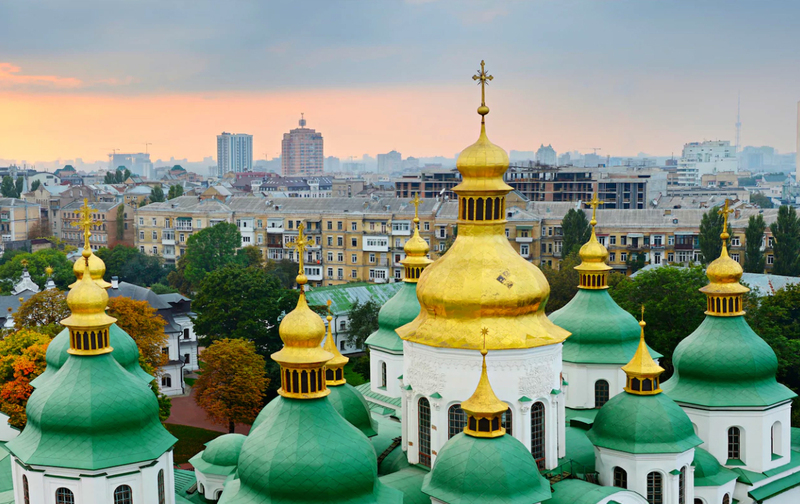 Beyond its World Heritage Sites it has a wealth of majestic Orthodox cathedrals, including St Michael’s in Kiev, pictured below. Data from the World Health Organisation (WHO) ranks Ukraine sixth for alcohol consumption, with 13.9 litres glugged per capita per year. Only Belarus, which tops the chart, Moldova, Lithuania, Russia and Romania consume more. Ukraine is not all about booze. The McDonald’s next to the main train station in Kiev, the country’s capital, is claimed to be the third busiest in the world. While we’re on the subject, it’s worth noting that Ukrainians do not exclusively drink vodka, as one might assume. The national drink is called horilka, another clear spirit. While vodka means «little water», horilka means «burning water», a nod to the fact that drink is often flavoured with chili pepper. Put your tea down because this one is a gasper. Within Ukraine is the geographical centre of Europe. OK, it’s not quite as simple as that. A number of locations lay claim to the title and it depends on how you measure Europe, but the small town of Rakhiv in western Ukraine is one such place. The country has a second claimant in Transcarpathia, where an obelisk marks the spot. The English-speaking world commonly referred to the country as The Ukraine. That is, until independence in 1991 when the West gradually dropped the definite article. In 1993 the Ukranian government requested that the country be called just Ukraine. US ambassador William Taylor, who knew that addition of the «the» was considered insulting by some Ukrainians, said it implied a disregard for the country’s sovereignty. Kiev’s main street, Khreshchatyk Street, is often referred to as the shortest yet widest main drag in the world. At only 1.2km long but remarkably broad, the street, which was destroyed in Second World War, is a focal point of the capital. 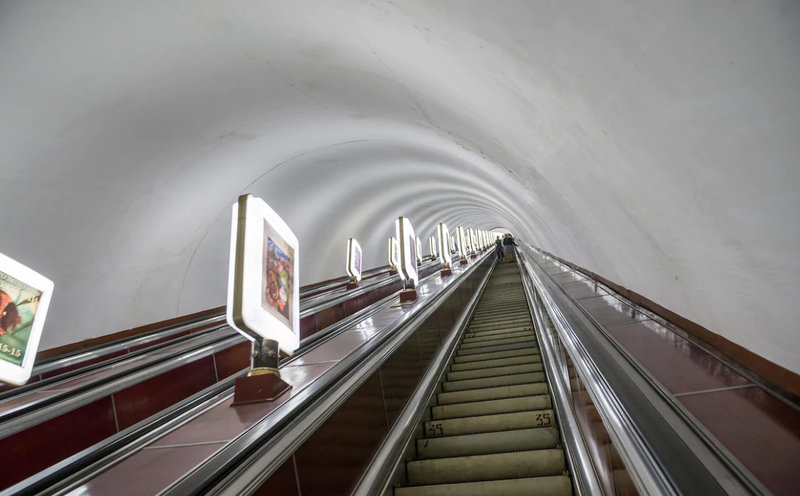 Arsenalna, a station on Kiev’s Sviatoshynsko-Brovarska line, is the world’s deepest at 105.5 metres below ground. No, chicken Kiev does not come from Kiev. It is thought to be a 19th-century French recipe, brought to the east by Russian aristocracy fascinated by French cuisine. 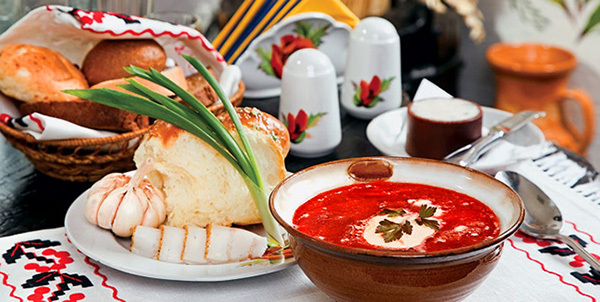 Bread, on the other hand, plays a large part in Ukrainian history. The country was once known as the breadbasket of Europe, owing to its large agricultural industry. This title was to cause the country immense hardship when it became responsible for feeding the Soviet Union under Stalin. Collectivisation and unassailable grain targets were the main causes of the Great Famine, otherwise known as Holodomor, which in 1932 and 1933 killed as many as 7.5 million Ukrainians. The famine is considered a genocidal act by 25 countries, including Ukraine, Australia and Canada. Ukraine has played the stage for much destruction during its history. But it was also the host of the Yalta Conference in 1945, where Churchill, Stalin and Roosevelt met to discuss the organisation of post-war Europe. Livadia Palace, which hosted the meeting, is open today as a museum. Today, Yalta is part of history once again as it lies on the disputed Crimean peninsula, annexed by Russia in 2014. The Crimea is one of four regions the Foreign Office advises against travel to [Kharkiv, Donetsk and Lugansk are the others]. Another Ukrainian claim to history is Chernobyl, the site of the world’s worst nuclear power plant disaster. The location in northern Ukraine is now the centre of the Chernobyl Exclusion Zone, established by the USSR soon after the accident in 1986. Within the zones are a number of abandoned towns, most notably Pripyat, that draw interest from all over the world. Tours of the area, including the power plant, are available, at the risk of the traveller. Radiation levels remain dangerously high – read Telegraph Travel’s Chris Leadbeater guide on how to visit. 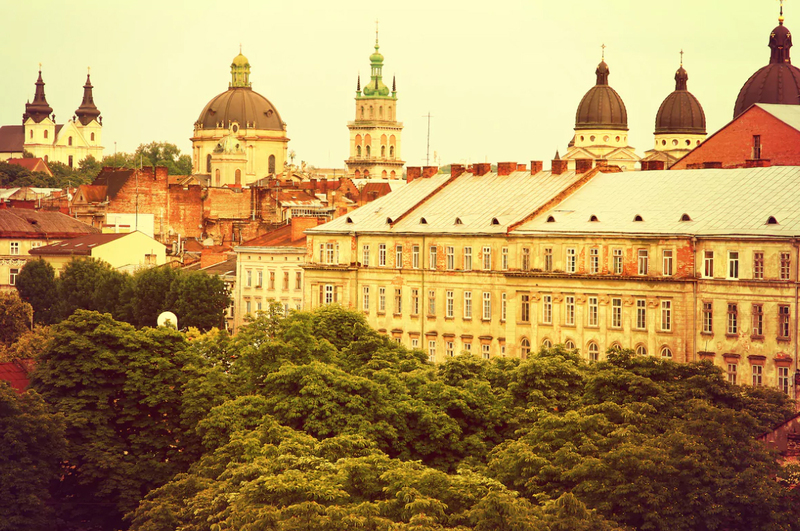 Lviv also claims to be the home of the first ever gas lamp. Invented by a local pharmacist in a store called At the Golden Star, today the achievement is remembered by a café called Gasova L’ampa found in the same building. 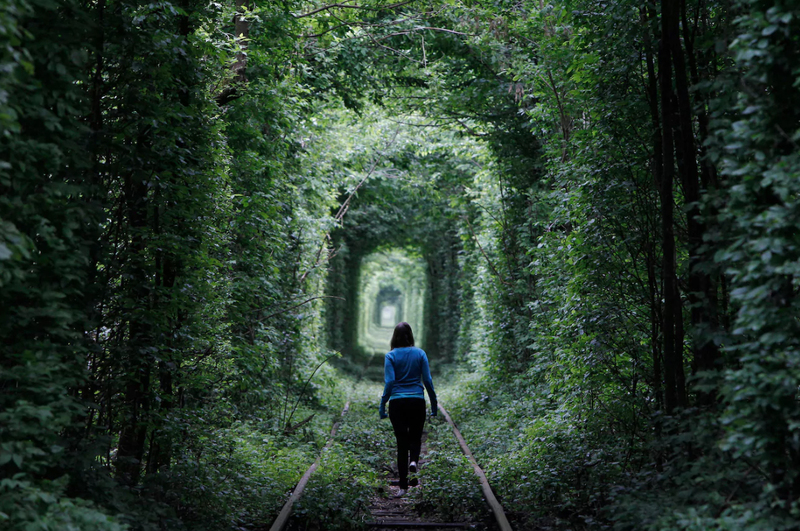 The Tunnel of Love, excellent Instagram fodder, is found in the forests near the town of Kleven. The rail road is for a private train that provides wood for a local factory. Kiev was the birthplace of the world’s biggest plane, the Antonov An-225 Mriya. It has the largest wingspan of any aircraft, at 88.4 metres and weighs 640,000kg. A brainwave of the Soviet Union, only one was ever made. Ukraine, which inherited a large nuclear arsenal after the break up of the Soviet Union, has the second largest military in Europe behind Russia. George Gershwin’s Summertime was inspired by an old Ukrainian lullaby. 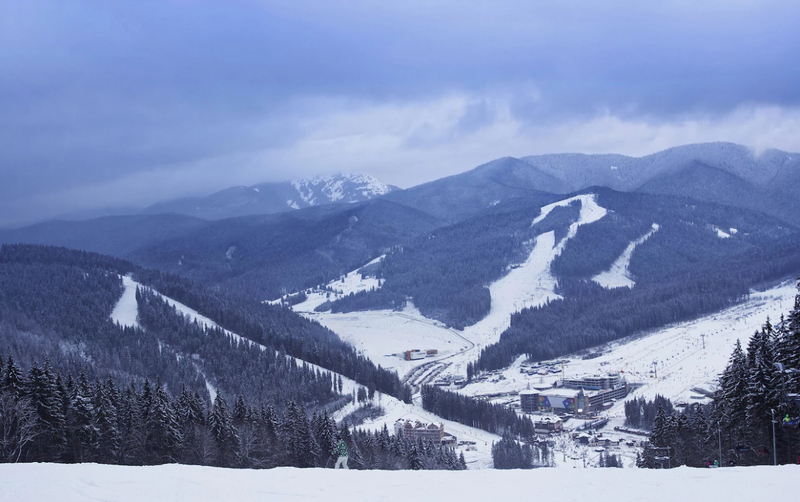 It’s no French Alps, but Ukraine has about four or five ski resorts to shout about, including Bukovel in the Carpathian mountains, with 55km of slopes and 15 lifts. The capital Kiev was given Hero City status by the Soviet Union following its resistance to the Nazis in the Battle of Kiev in 1941. The Germans encircled the city in July of 1941, eventually capturing it in September and taking more than 600,000 soldiers captive. Despite the battle being seen as a huge victory for Hitler, the city was rewarded for its defence with the title of Hero City in 1965. The Black Sea, home to Ukraine’s only coastline, is popular with holidaymakers. The massive lake lacks a tide and the water level never changes. 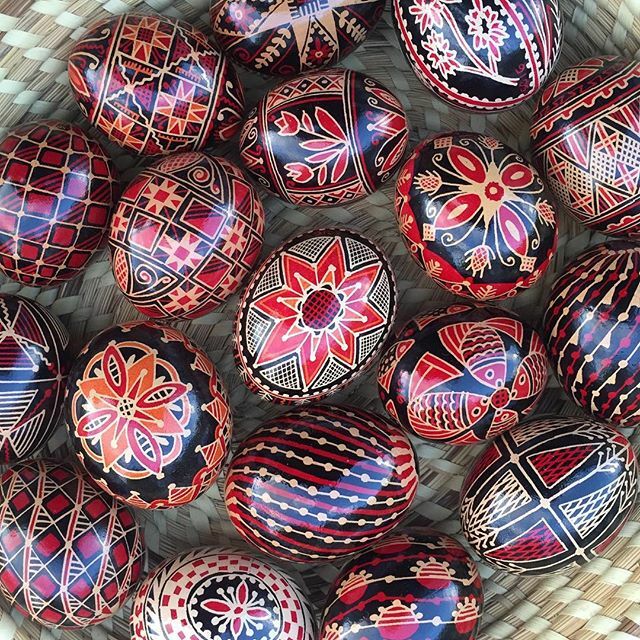 Ukrainians are pretty big on easter eggs. Less so, stuffing their faces with low-quality chocolate: they favour more intricate designs using wax on ornaments known as pysankas. Different regions of the country have different styles and methods of decoration. The practice was banished by the Soviet Union, but continued in North and South America by Ukrainian immigrants. Armed with a 16-metre sword and a great slab of a shield, Mother Motherland clearly isn’t to be messed with. While Communist symbols and street names were outlawed from Ukraine in 2015, Second World War monuments – like this titanium statue in Kiev – were allowed to remain. Mother Motherland, a suitably imposing 62 metres tall, was built in the 1970s – and now forms part of the Museum of the History of Ukraine in World War II (catchy title). The monument’s fire pit is supposed to hold an eternal flame, but due to funding issues it now only burns on the biggest national holidays. Ukraine was home to one of the world’s first ever constitutions, in the form of the Constitution of Pylyp Orlyk, written by a Ukrainian Cossack in 1710. It established a democratic standard for the separation of powers in government between the legislative, executive and judiciary branches, an idea perhaps made more famous by Montesquieu’s Spirit of the Laws, which was published in 1748.